*Sale Price listed does not include a $115 Documentation fee. Price listed does not include, tax, $35 electronic filing fee for titling (custom plates do not apply), title, license, registration or state emission fees. While every reasonable effort is made to ensure the accuracy of the vehicle description displayed on this page, dealer makes no warranties, express or implied, with regard to the vehicle or vehicle description. Please verify all vehicle information before entering into a purchase agreement. If the vehicle being purchased is to be financed, the annual percentage rate may be negotiated with the dealer. The dealer may receive a fee or other compensation for processing or arranging financing for the sale. Call or email for complete, specific vehicle information. Our multi-point inspection does not guarantee a recall free vehicle. For more recall information see http://www.nhtsa.gov/. 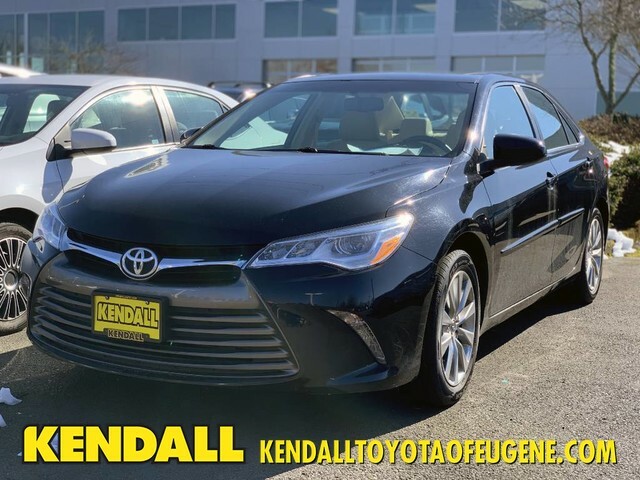 Kendall Toyota used car center is pleased to offer This 2015 Toyota Camry comes with a CARFAX Buyback Guarantee, which means you can buy with certainty. This vehicle has surpassed all inspections to achieve Certified Pre-Owned status. The impressive Toyota fuel-efficiency will make you quickly realize what you've been missing out on in life. It's noteworthy fuel economy and minimal emissions make this vehicle's value a cut above the rest. This vehicle has extremely low mileage on the odometer, so while it's pre-owned, it's practically new. More information about the 2015 Toyota Camry: The Toyota Camry has been the best-selling car in America for twelve years now. The Camry is a massive success and with good reason-- it's got proven reliability, a quiet and spacious interior, good fuel economy and now, exciting exterior styling. For anyone who needs quiet, comfortable transportation for up to five people without breaking the bank, the Camry is invariably the place to start the search. With a starting MSRP of under $23,000 the Camry offers a ton of versatility for the price, but can also be optioned up to give buyers that luxury car feel if they so desire. 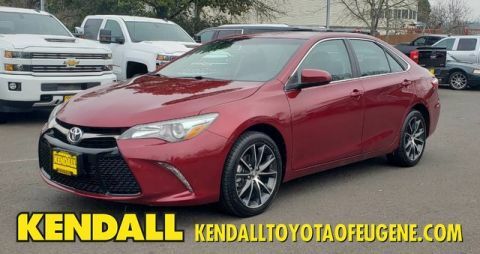 Interesting features of this model are spacious, Reliable, relatively efficient, more aggressive styling than in past years, and comfortable Located next to the foot bridge on Good Pasture Island Road, come see us at Kendall Toyota Used Car Center. 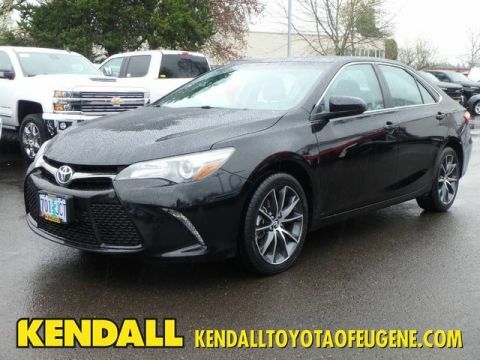 Our mission at Kendall Toyota of Eugene is simple: To deliver an unrivaled customer experience. Through our highly motivated, knowledgeable, and caring team of professionals, we pledge to listen and respect your needs. Doing the right thing means more than selling and servicing vehicles. Our progressive attitude means being exceptional stewards of the communities we operate, as well as the environment. It means going above and beyond every day for the people who mean so much to us, our customers.